Want to resolve to save money of your electric bill this year? You can do it with some simple steps that will add up fast and cost you less each month. Start in the kitchen and think about how you cook your meals. Do you use the oven and range often? Try switching to a microwave or a toaster oven for smaller meals. Your food will be just as tasty and might even cook faster, and you’ll save on your energy bill. Let’s move to the laundry room. Take a look at the timer on your dryer and resolve to use less time for every load. Overdrying wastes energy and wears out clothes faster. And here’s a bonus tip – put a dry towel in with that wet load of laundry and it will dry faster. How about a few tips for all around the house? Use a humidifier to save on heating costs. You know how that hot, humid air outside makes you warmer in summer? The same is true indoors in winter. With about 40-percent humidity, you can turn your thermostat down, save energy and still feel comfortable. If a light bulb is going off for you now, you’re on the right track. 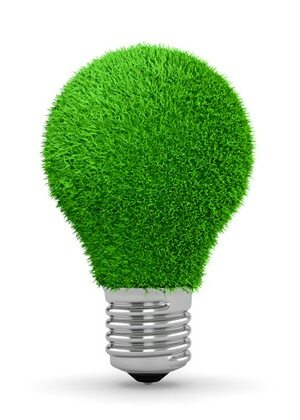 Switching to LED lights can save two-thirds of the energy cost of compact fluorescent lights and use 10 times less energy than old-fashioned incandescent bulbs. And LEDs will last for 10 years or more. Finally, while we’re glad you’re reading this, it’s okay to turn us off. Your computer and other electronic devices still use energy in sleep mode, so if you’re not using it, turn it off.